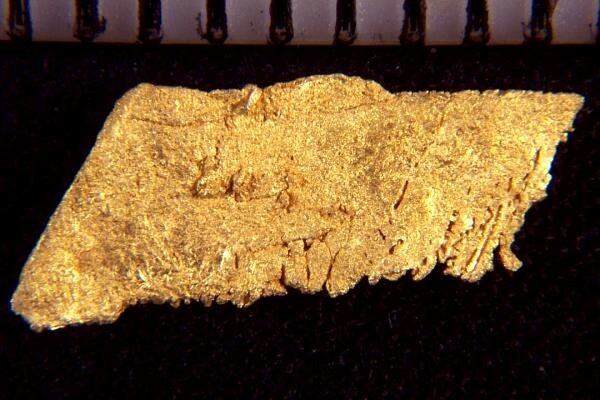 A very rare and unique crystalline plate gold nugget specimen from Round Mtn Mine in Nevada. It is 9/16" long and has many gold crystals attached on one side and along one edge. 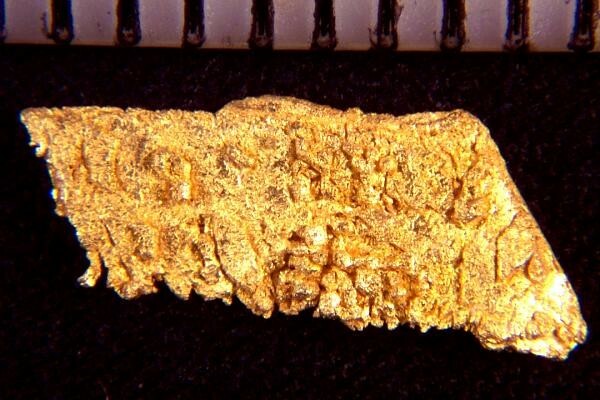 The weight of this rare gold specimen is 4.7 Grains (0.30 Gram). Plate Gold Nuggets are thin and have a large surface area for the weight and price. Add a plate gold specimen to your collection.